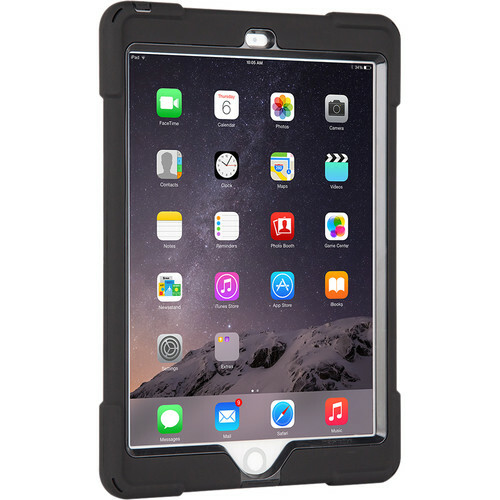 Protect your iPad Pro 9.7" in this black aXtion Bold Case from The Joy Factory. 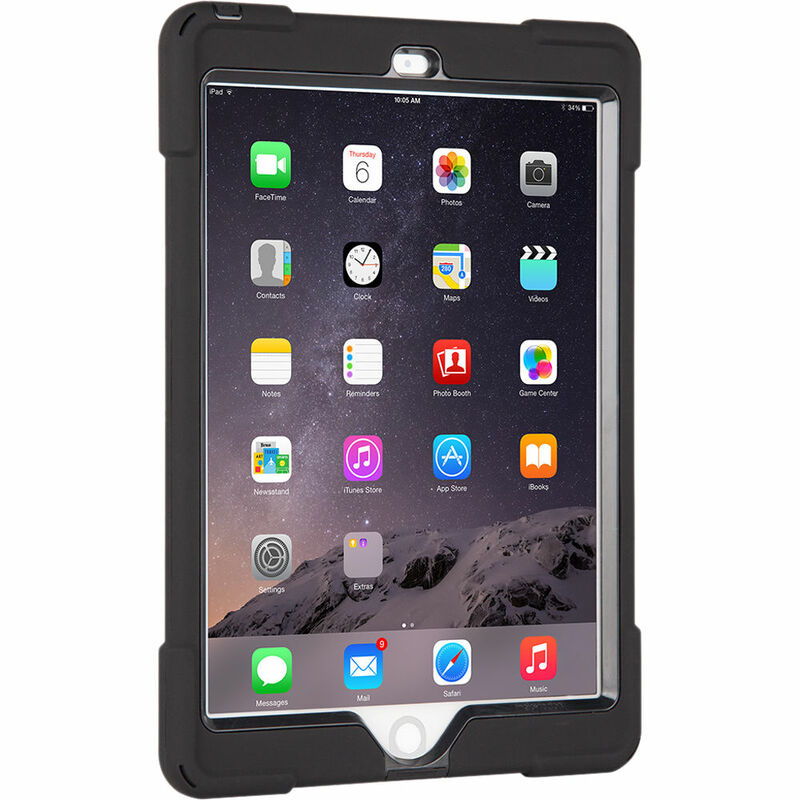 With a built-in screen protector, silicone buttons covering the buttons located on the sides of the iPad, super sensitive touch ID film, and a high-quality lens protecting your camera lens, your iPad will be protected without compromising its form factor. With an ultra-slim design, the aXtion Bold is just under half an inch thick yet still offers military grade protection. Additionally, the case features shoulder strap holes for optional hands-free shoulder strap use. Box Dimensions (LxWxH) 11.5 x 7.4 x 0.9"